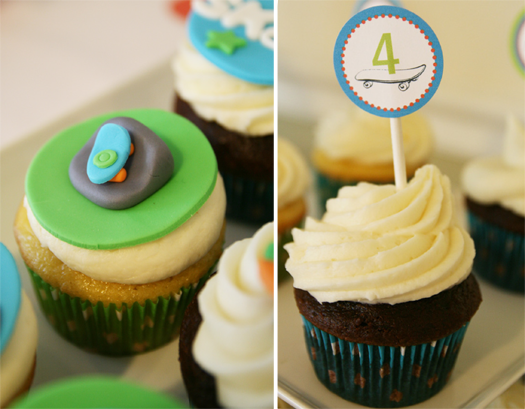 Jill of Paperbox Press put together this low key 4th birthday skateboard party for her 'little skater dude'. It's so hard to find cute items for a specific boy theme like this, and she made a smart decision by creating a blue, grey, green and orange color scheme and working around it to unify the look. 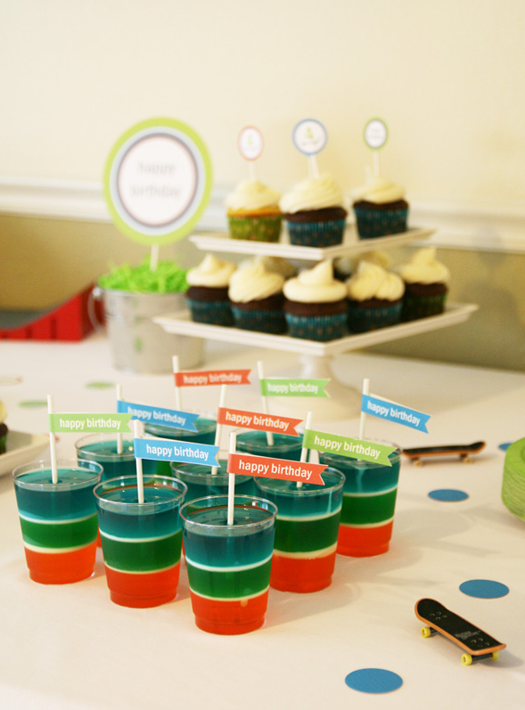 The layered jello molds with flag toppers are a unique and fun treat, as are the fondant cupcake toppers and favor bags which included a Tech Deck, some skateboard tattoos, candy and hand molded chocolate skateboard pops. 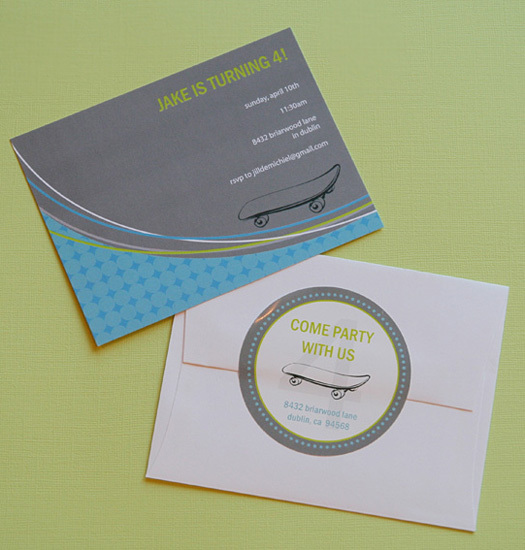 Of course, Jill also designed all the paper goods herself, available at her shop here. What a great party! Love the colors. I love the colour combination, original! Oh my goodness, this is too cute. I can just imagine the kiddos! 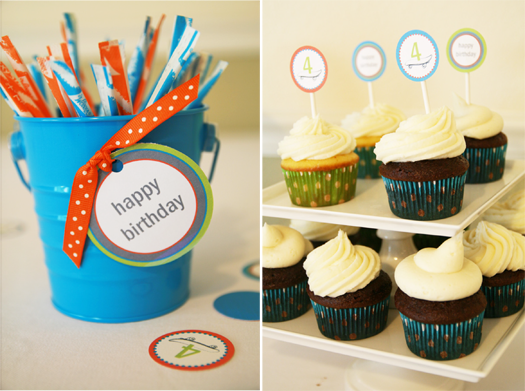 What a great party theme! 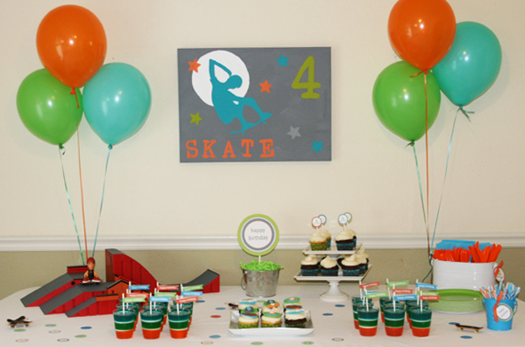 Skateboarding is growing in popularity with the young boys and there is not much out there ready made for a boy's Party. Great job! 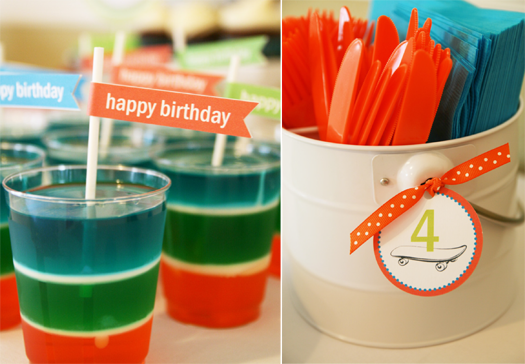 So love a boy themed party....these jelly cups look so yummy! 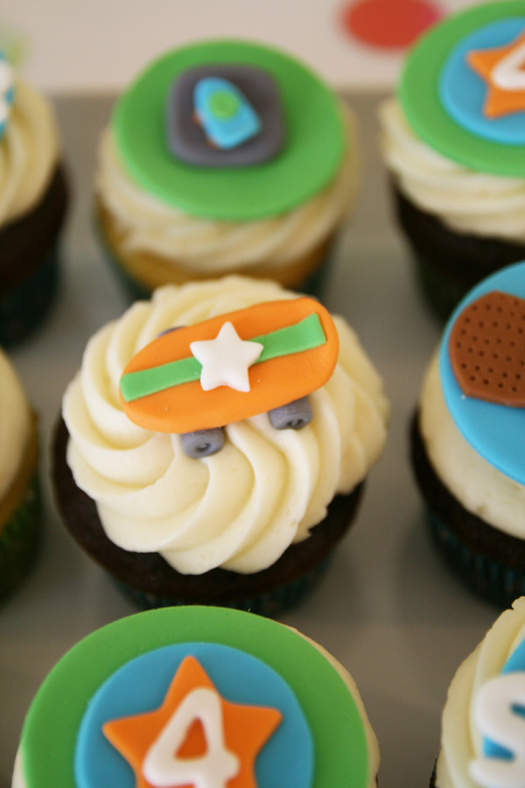 This is such a cute party idea for a boy. 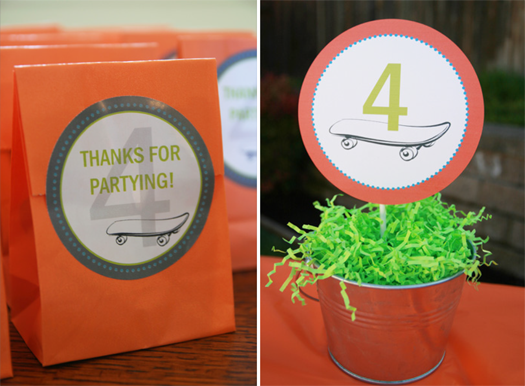 I found these dirt bike party supplies at Discount Party Supplies that are a combination of dirt bike, motocross and skateboard themed. 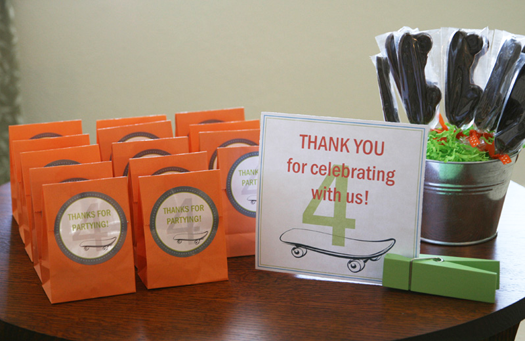 There were some really cute skateboard erasers and other favors too.